I'll give that a whirl. I've learned my lesson on being VERY careful what you set "UI Cancel" to as I painted myself into a corner on the Android version of mame. Also, I would have never called it "UI Cancel". When I think of that, I think of the popup menu disappearing(or shall we say, canceling?) , and returning you to the game, not exiting out of MAME entirely. But then again, we are talking about MAME/MESS here, where any sort of UX is instantly tossed out of the window. If you screw up the mame controller mappings, you can just manually edit or delete the controller cfg file. I don't think emulationstation takes mouse/trackball control. You'd have to find a way to get the mouse to emulate a joystick or keyboard in raspbian. Edited by Spriggy, Fri Nov 16, 2018 7:30 PM. Thank you - the trackball / spinner works in MAME, but I'm guessing Emulation Station doesn't support using the mouse/trackball for navigation. Edited by Spriggy, Fri Nov 16, 2018 9:23 PM. Six buttons would be enough to navigate emulationstation. Can it be done with five? A switch like this could be nice for scrolling up and down a list of games. BTW, I found out by accident that mame4all has it's own front end. Being that I made these two cabinets only for MAME use, I commented out where EmulationStation started, and made it call mame4all instead. So now all that's left is to adjust the trackball / spinner sensitivity on each of the games. They aren't set correctly now, and spinning either too fast makes the player on screen move in all directions. Ok, change of plans on the Centipede cabinet. I didn't like the way mame4all on the Pi handled the trackball / spinner (it didn't feel right, no matter the settings). I wasn't sure if it was the USB interface, or mame4all itself. So I changed gears. I had a CD backup of one of my old cabinets that ran Windows XP, which used AdvanceMAME. I loaded up an old Acer Veriton X275 with it, so now the trackball and mouse works nicely in-game - and feels right. Plus, I have the bonus of being able to navigate the game list with the trackball or spinner. I'm not putting it on the network, so no 'updates' or concern of anyone getting into it. Also, I was able to rotate the Windows desktop to match the portrait screen (although it will only be visible momentarily as I'll have it set up to go directly into AdvanceMenu). Once I'm finished setting it up, I will take the motherboard out of the case and attach it to the inside of the cabinet. Much happier with it now. The Asteroids cabinet is already finished, the Raspberry Pi works well for that. I may get a Galaxian cabinet to put all of the vertical shooters in. Not sure yet. I have an actual Pac-Man cabaret cabinet (with 6 arcade boards on a switch (Pac-Man, Ms. Pac-Man, Pac-Man Plus, Ms. Pac-Man Plus, Hangly Man, and Jr. Pac-Man) so I don't need to get the Pac-Man one... although I have to admit it looks awesome. Edited by PacManPlus, Tue Nov 27, 2018 8:12 AM. I've been researching getting a Raspberry Pi for Retropie. I was curious if anyone had any luck with the 2600-daptor. The website said you can use the 9 pin Intellivision and Colecovision Flashback controllers. Would these work with the respective emulators? Edited by OscarGungan, Tue Nov 27, 2018 11:33 AM. I haven't tried any Colecovision or Intellivision games, but I can say that my 2600-daptor II works well with Joysticks, Paddles, Trak-Balls and Starplex controllers, via Stella. It works great with the Colecovision Flashback controllers. If you plan to rebuild your Colecovision Flashback using a Pi, then don't purchase the individual adapters. You can purchase the Ultimate Flashback Interface Board instead. It is functionally the same as the 2600-dapter D9 (made by the same person) and it is a drop-in replacement for the main board in the Flashback units. In either case, you will need a mapping file for the CoolCV emulator. This maps the controller to the emulator. Thanks for the information. 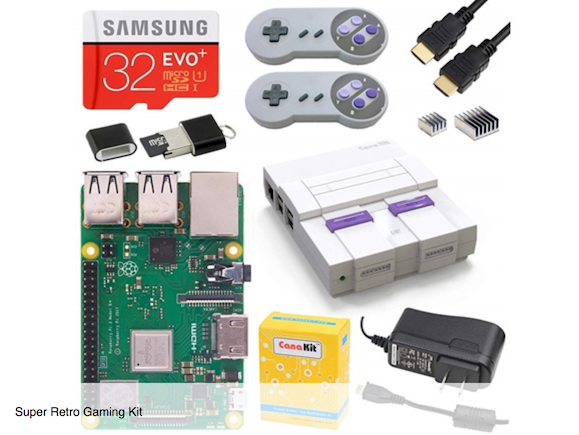 Is there an advantage to rebuilding a flashback over buying the adapter for the Raspberry Pi? One of my aims is to declutter by having a one size fits all kind of device. You can have a neat case that looks like a Colecovision FB (and everything contained within it) or you can have a little case for the Pi only and have everything out in the open. If you are able to do some minor DYI electrical work, then you can purchase a Mausberry Circuits (or one of its competitors) to get the FB's on/off switch to be functional for the Pi, and I can help you get the FB's reset button to be functional to reset the game, and it can also function as a quit button, too. This will also work for Intellivision emulator (jzintv), but you should use Intellivision controllers. For Atari 2600, you need to either have a standard keyboard attached, or you need to add a few additional buttons and switches, because that game system has quite a few buttons and switches (Left & Right Difficulty, Select, Start, Color/B&W, etc). These are all mapped to a keyboard or you need to add this hardware the Colecovision FB case. If you look at the homepage of the 2600-dapter, you can see all the compatible controllers for the 2600-dapter D9 and the UFBI adapter supports the same things - and those emulators, too, so either way you go it can be your "one size fits all"
Please take note that these threads were all started before the Ultimate Flashback Interface Boards was created, so you can see the individual adapters used in them, but now the UFBI board is drop in ready, so a lot less work to rebuild a Flashback case these days. I totally forgot about the Ultimate PC Interface adapter. Edited by fdr4prez, Wed Nov 28, 2018 11:27 AM. Woot! deal of the day - $69.99 for a Raspberry Pi 3 B+ 32GB kit. One of the choices is the Retro Gaming Kit. Amazon has a NESPi case with 2 SNES style USB controllers for $37.99. Raspberry Pi 3, Power Supply and microSD card sold separately. I love kits and offers like that. They provide good nearly "all-in-one-purchases" for getting into emulation. A starting point for overcoming the stigma and all that. Woot! is one of my daily sites, never know what to expect. For those that missed out on the deal, looks like a similar kit's $79.99 at Amazon (different style case). I have spent so much time lately with my PS Classic that I have neglected my RetroPie setups the last month or so. I decided today was Piday! - I did a full update on the cores and all installed modules. Up to date at ver 4.4.8. - I went through every system (except MAME) and made sure I had a video, box art and flavor text for each game. If it was an incomplete proto, same game/different name or something that wasn't able to be emulated properly (sorry PSX Driver) then it got the boot! I also installed Skyscraper from the Experimental menu and ran that through the Master System library since I just added it. Very nice but only found 72 out of 115 matches. I'll re-run it tomorrow and see if it picks up the missing ones. Selph's used to randomly do that as well. - I spent a few hours setting up overlays/bezels for the systems. I really like how it makes the setup look and forces resolutions closer to the actual system outputs. Just looks right especially on a larger tv. - I still have some systems to add since I have the space. GB, GBC, Game Gear and ColecoVision come to mind. - Some scraped descriptions show &quot;text&quot; instead of "text". There doesn't seem to be an easy fix for that. Odd thing is some descriptions have "Bob is great!" and some have &quot;Bob is great!&quot; with the same scraper. - I want to try and get MAME down to one game per instance. Having 5 Donkey Kong games listed just isn't cutting it for me. I see a few ways I can go about this but it's time consuming learning something new so definitely another day! All in all a rare day I could do what I wanted and I considered it well spent. So is the PS Classic perhaps a worthy competitor to a RetroPie setup? Something one can setup for a friend/family member with minimal tinkering? You'll get two schools of thought on this. BleemSync/RetroArch is EASY to set up. Adding 2600-SNES games to the USB stick is as easy as plugging the USB into your PC. Adding games to the carousel is a bit more complex since you connect to the PC via USB and then "upload" them through the web interface. But it's all very easy and step-by-step. While the Playstation "side" of things seems good the RetroArch is still a work in progress and cumbersome at some points. Usable but annoying especially if you're used to "click-n-go" software. For the money I like the fact you get an HDMI cable, a USB cable, 2 controllers and a console for as low as $37 on Amazon. We still have them new at Walmart for $47-$50. You just need to supply your own USB plug (like an Apple USB charger block) and - this REALLY helps for 2 player but not necessary for one person use - a small 2.0 USB hub. The flip side of this is RetroPie is a polished product. It's customizable and has EmulationStation as it's front end. There's a ton of tried and true support for it as well. It will also run some N64 and even Dreamcast depending on the board and overclocking. However a good setup with the PI board, SD card, power supply, case and fan, 2 controllers and HDMI cable can easily push $80-$120 depending on what you buy and from where. Edited by ClassicGMR, Tue Feb 26, 2019 10:55 AM.